Just how big is Big Government in New Zealand? 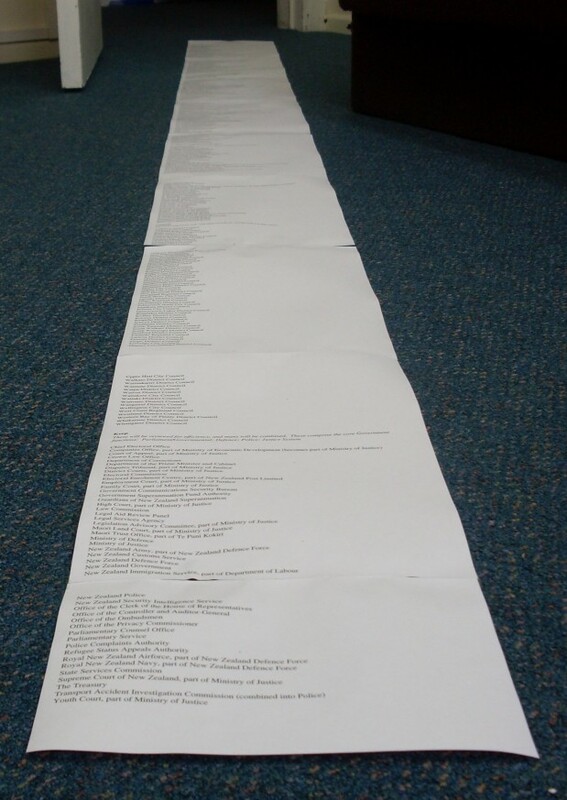 Well, if you print off a list of all the government departments, state-owned enterprises, councils and quangos, there are 407 of them. Hard to visualise, isn’t it? Libertarianz is here to help you out. 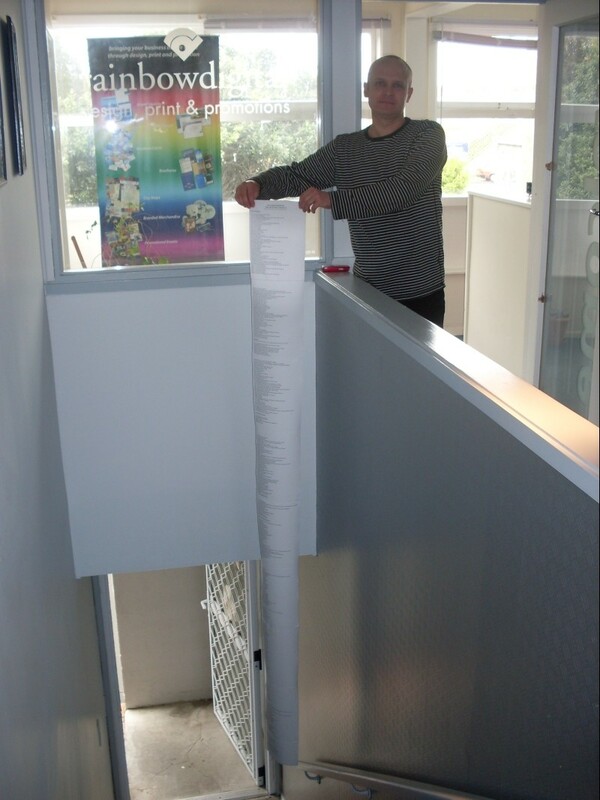 That’s nine pages of normal-sized text. It reaches from floor to ceiling, with inches still lying on the carpet. You can find the whole list below, or look at it here. Government Departments, SEOs, QUANGOs, Councils, etc. These will be reviewed for efficiency, and many will be combined. Previous PostJust Bugger Off!Next PostNo Right to Self-Defence. It is difficult to picture what shape the Department of justice would assume after the Revolution because for eg There would still be Legal issues regarding Building houses… thus a section of the Department of justice may need specialists/ experts to administer the Law in this area… thus the fact that we are downsizing Government, and ‘de-regulating’… does not mean anarchy must prevail! No. The Department of justice must have the capacity, the specialist knowledge, etc to insure justice prevails. There will be ‘Common Law’ type applications of the Constitution, and contract Law, and specialist courts. I picture a bigger and better defence force, a bigger and better police force and a bigger and better justice system. I picture a Parliament with fewer MPs.